Who knew a grassy field in Maine would have so much to offer? Scientists have discovered a brand-new antibiotic called Teixobactin from the soil there, which could be great news because bacteria have so far shown no resistance to it in mice. Soil is actually a rich source for our antibiotics – scientists isolate and raise strains of soil bacteria and see if any show antibiotic properties. In mice, Teixobactin cleared up MRSA, a harmful form of staph bacteria that is resistant to common antibiotics and has become a major problem in hospitals over the past few years. However, it will be at least several years until human trials with the drug are completed. Some scientists think that bacteria will develop resistance to Teixobactin, since bacteria reproduce so quickly. For now, though, there is hope that this discovery can help treat infections at a time when other antibiotics have stopped working. 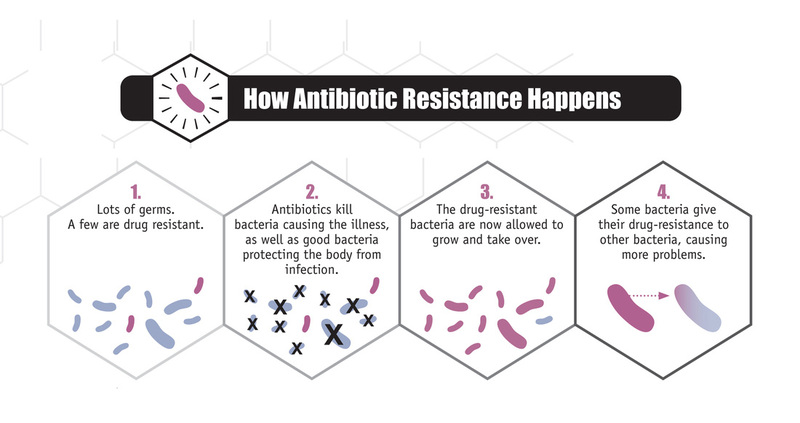 If you would like to learn more about bacteria and antibiotics, and how bacteria develop resistance to antibiotics, the Centers for Disease Control (CDC) have a nice Q&A on their website here. Below is a nice diagram of how the process works.